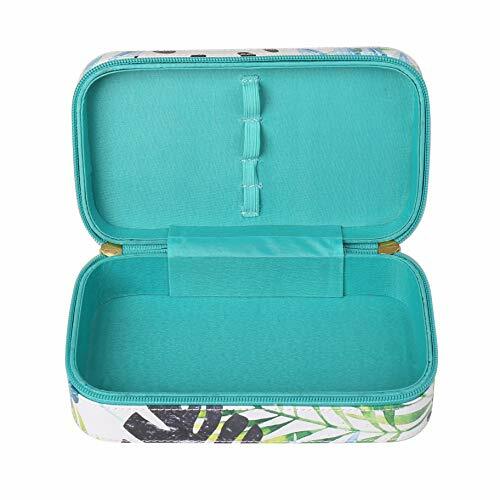 This on-trend, hard-sided travel makeup case is the perfect size to bring on long trips or simply to put in your handbag or gym bag for everyday use. 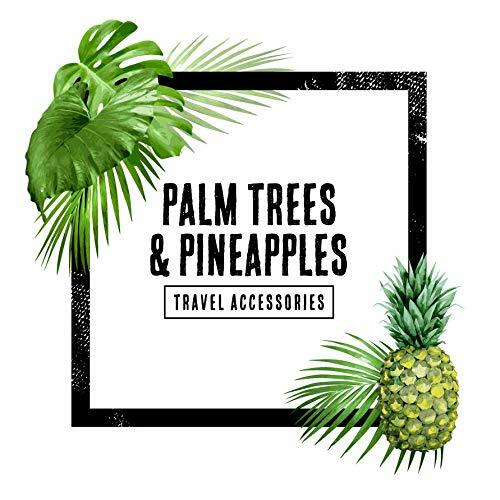 CRUSHPROOF–The hard-sided case ensures that your valuable cosmetics are protected from the damaging effects of other heavy items. 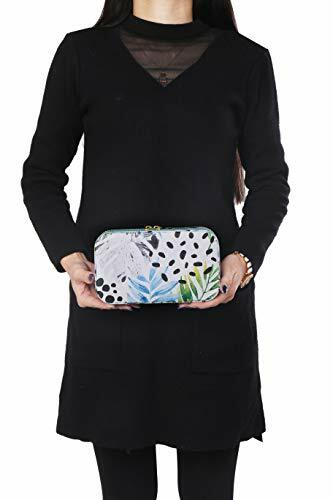 SPILLPROOF–The case is covered in a chic, printed vinyl pattern that can easily wipe clean. 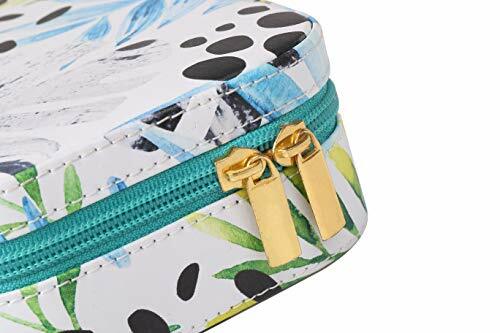 ORGANIZES–The inside cover has four elastic loops thoughtfully placed to hold brushes, lipstick tubes, pencils and more. STURDY & FUNCTIONAL–The gold zipper adds functionality with two sturdy zipper fobs. 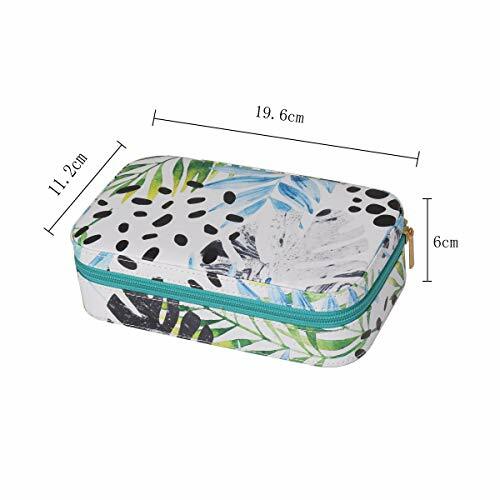 SIZED JUST RIGHT–The dimensions of the case are 19.5 cm long, 11 cm wide and 6 cm tall. The inside compartment is approximately 3.5 cm tall. 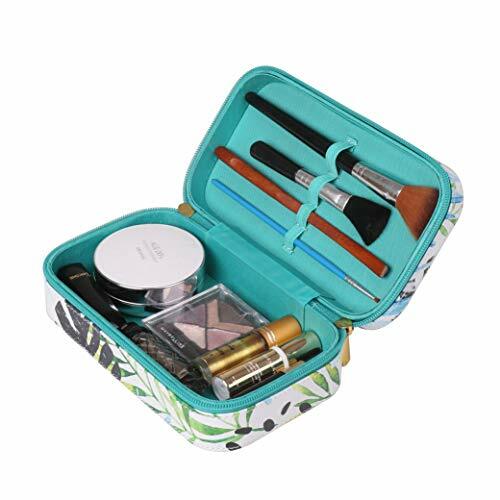 The perfect size to carry with you every day and it fits just the right amount of items.This on-trend, hard-sided travel makeup case is the perfect size to bring on long trips or simply to put in your handbag or gym bag for everyday use. CRUSHPROOF–The hard-sided case ensures that your valuable cosmetics are protected from the damaging effects of other heavy items. 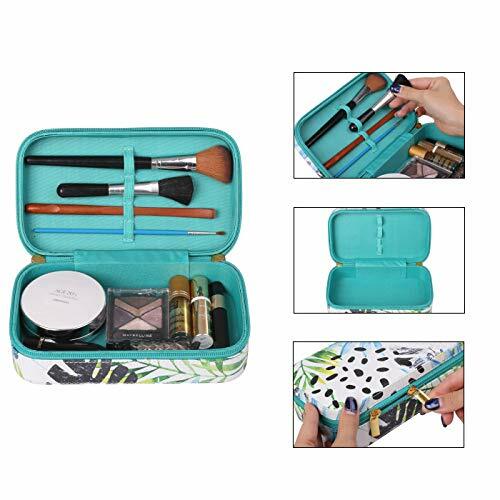 ORGANIZES–The inside cover has four elastic loops thoughtfully placed to hold brushes, lipstick tubes, pencils and more. STURDY & FUNCTIONAL–The gold zipper adds functionality with two sturdy zipper fobs.